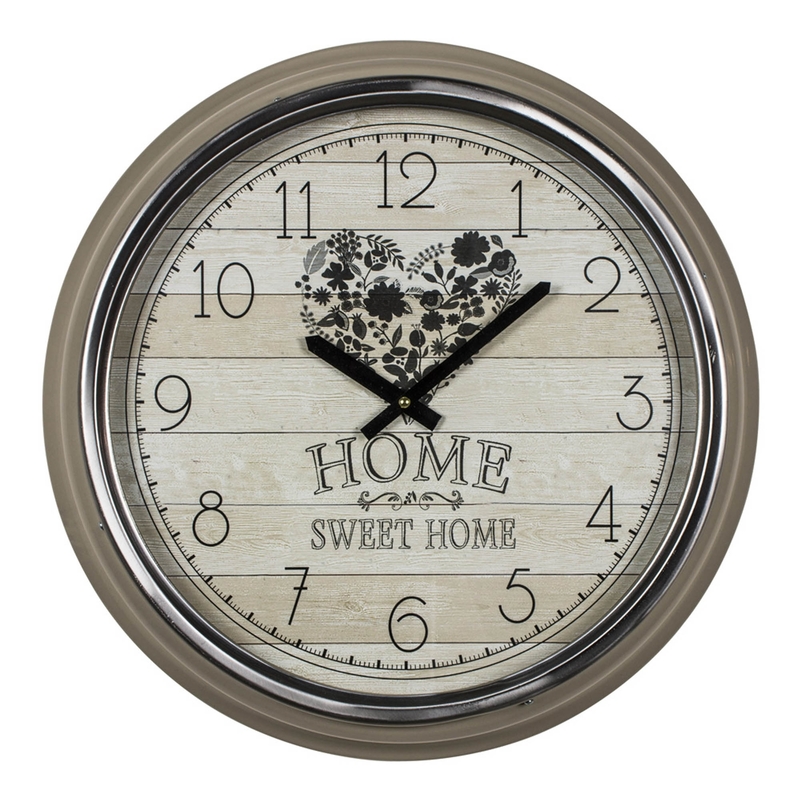 Bringing to you from Homesdirect365 is this gorgeous Antique French Style Home Sweet Home Wall Clock. A beige metal wall clock with a silver rim perimeter. The face has a wood effect design with a black inscription of HOME SWEET HOME and a heart consisting of flowers. Perfect to brighten and enlighten any home for a better overall decorated interior.